Carcinoma Quick Reference: From the Greek Karkinoma and karkinos (crab). Used as a term to denote cancer. 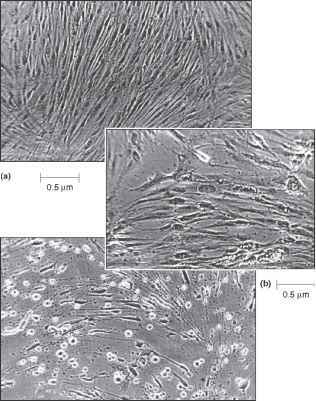 Advanced Reference: A malignant growth made up of epithelial cells tending to infiltrate the surrounding tissues. Cardex Quick Reference: Surgeon and anaesthetist preference cards. Advanced Reference: System for recording both surgeon and anaesthetist requirements for individual procedures. Cardiac arrest Quick Reference: Cessation of the heartbeat. Advanced Reference: Indicates sudden circulatory stoppage. Signs and symptoms include absent pulse, apnoea, cyanosis. Treatment is immediate institution of cardiopulmonary resuscitation (CPR). Cardiac catheterisation Quick Reference: Passage of a catheter under radio-graphical control through an artery or vein until it reaches the heart. Advanced Reference: Used in the diagnosis and study of heart disease and related conditions. Cardiac cycle Quick Reference: A sequence of events lasting about 0.8 s.
Advanced Reference: The cardiac cycle occurs when the atria and ventricles contract thus forcing blood around the body. Each cycle lasting about 0.8 s.
Cardiac massage Quick Reference: Manual compression of the heart. Advanced Reference: Rhythmic compression of the heart performed in order to re-establish circulation usually after cardiac arrest. Can be performed externally or internally. Cardiac output Quick Reference: Volume of blood expelled from the heart each minute. Advanced Reference: Is dependent on stroke volume and heart rate. Cardiac output = stroke volume (l) X heart rate (bpm), where bpm is beats per minute. Cardiology Quick Reference: Branch of physiology and medicine concerned with the heart. 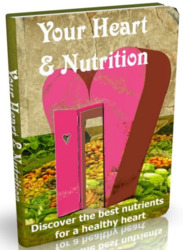 7 disease and damage to the heart and surrounding tissue. 0 Cardiomyopathy Quick reference: A chronic disorder of the heart muscle. 1 disease of the heart muscle often of obscure or unknown origin. Cardiopulmonary Quick Reference: Relating to the heart and lungs. Advanced Reference: Term applied to many activities and situations, ô e.g. CPR, cardiopulmonary bypass refers to use of a heart-lung machine during open heart surgery. g Cardiovascular Quick Reference: Terminology relating to the heart and blood vessels. Advanced Reference: Referring to the pulmonary and systemic circulation and the network of arteries and veins throughout the body. Cardioversion Quick Reference: Application of synchronised DC electric current to restore sinus rhythm. Advanced Reference: Use of the defibrillator at varying energy levels to treat atrial flutter/fibrillation, ventricular tachycardia and supraventricular tachycardia (SVT). The machine is synchronised to deliver the shock to occur with the R-wave of the electrocardiogram (ECG). Delivering the shock during the repolarisation phase can lead to ventricular fibrillation (VF). Care pathway Quick Reference: A hospital-wide multi-disciplinary approach to patient care. Standardised care. Advanced Reference: Should involve all disciplines having their specialised part to play in the care pathway during the patient's hospital stay. The mapping of a disease or through the peri-operative period in order to give standardisation for patient care. Care plan Quick Reference: A tool for planning patient care during the peri-operative phase. Advanced Reference: A care plan will help staff assess, plan, implement and evaluate the operative needs of the patient. Each plan giving individual care to all patients. Carotid Quick Reference: Usually refers to the main artery of the head. Advanced Reference: The carotid artery supplies the head and brain with blood. It has two branches, i.e. the external and internal carotid arteries. Carpal tunnel Quick Reference: Syndrome related to the wrist. Advanced Reference: Compression of the median nerve which causes tingling and numbness in the fingers. Carter-Braine Quick Reference: Arm support used during surgery. Advanced Reference: Type of support used for the upper arm when patient is placed in lateral position, e.g. hip replacement, kidney surgery, etc. Precautions should be taken to minimise the risk of the patient touching the metal section of the support. Cartilage Quick Reference: Gristle, a tough supporting tissue. Advanced Reference: The majority of bones are originally formed from cartilage. When the bone is fully developed, the cartilage remains at the bone ends only, where it forms an articulating surface. Often heard as a sport person knee injury. Cast Quick Reference: Piece of material moulded into a required shape. Advanced Reference: Usually refers to a plaster cast or plaster of Paris (POP). CAT or CT Quick Reference: Computerised axial tomography, a CAT scan.